Home Has 4 Wheels: Photos Of People Who've Broken Down Walls People live out of their cars for all sorts of reasons. Photographer Andrew Waits set out to document their stories. He asked dozens of people across five states why they had left their houses behind. Tiny homes — you've heard of them: those cute-as-a-button, 200-square-foot, closet-sized prefabs on the covers of glossy shelter magazines, tempting us to downsize and live the eco-chic American Dream. But what we haven't seen a lot of is the four-wheeled alternative — the life lived by many of those who go against the grain by ditching four walls altogether. Contrary to what some may think, not everyone who lives out of a car is homeless. In fact, there's an entire population of auto dwellers out there that chooses to forgo the white picket fence for a pop-top. Seattle-based photographer Andrew Waits set out to document these people in his latest documentary project, Boondock. 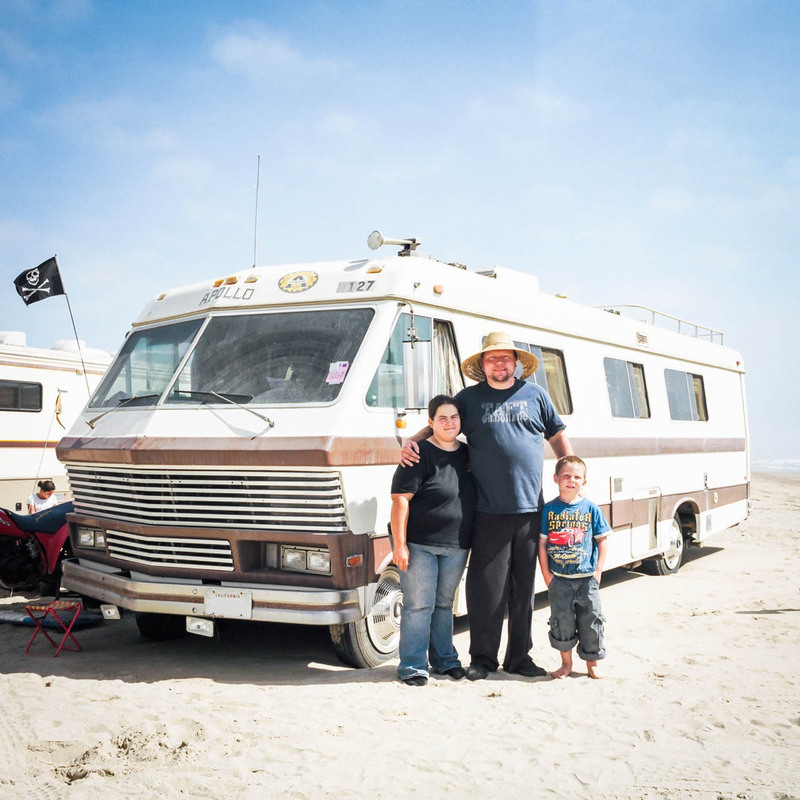 Yates family in Pismo Dunes, Calif.
Four years ago, when Wait's aunt and uncle lost their son, they decided to lock up their house, buy an RV and hit the road. A decision they made to survive a tragedy, Waits says. 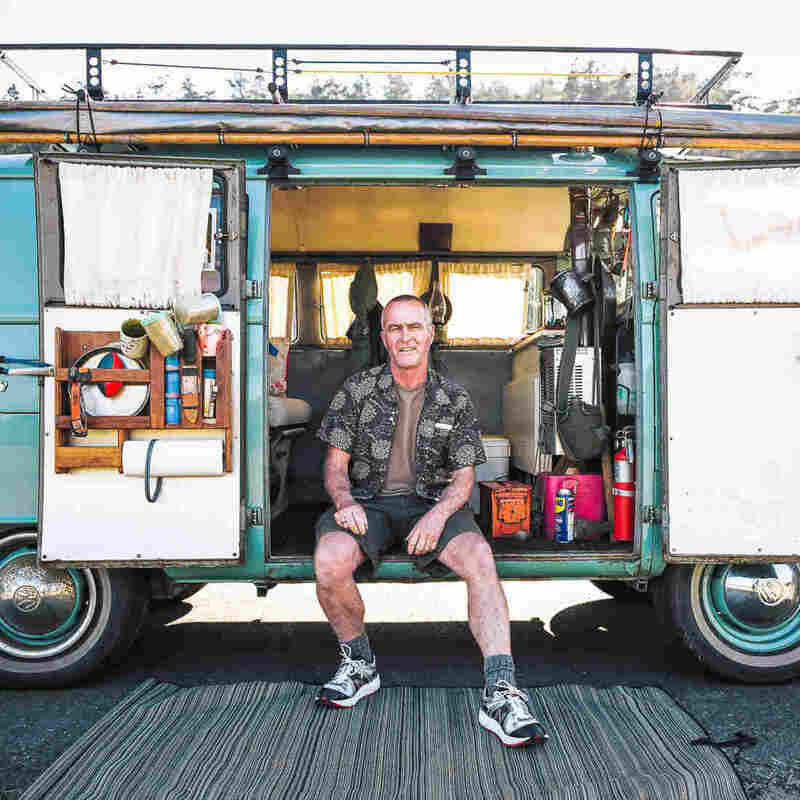 In 2012, Waits bought a Toyota Chinook and cruised through Washington, Oregon, California, Arizona and Utah — with the intent of interviewing and photographing people who do just that. Now 31, Waits, a freelance editorial and commercial documentary photographer, captured images of more than 60 people in five states. Some parked in urban areas practicing "stealth parking" (moving around regularly to stay as inconspicuous as possible); others took up residence on national forest land (which in many cases you can occupy for 14 days at a time). His quiet, intimate images — and their respective stories — are shown on his website, with plans for a gallery show and a potential book forthcoming. "One of the most surprising things was people's willingness to talk," says Waits, "to really open up to a complete stranger. Once they realized I wanted to listen, it shocked me how personal people would get. No one turned me away." And what Waits found: people living out of their cars for all sorts of reasons. Some out of necessity, of course, like Bob in Truckee due to medical issues; or David, jobless in Seattle; or James and Kyndal, victims of foreclosure in Quartzsite, Ariz. But others — half of the 60 people/couples/families he met — were doing so by choice. To live unburdened by monthly rent or mortgage payments or the perceived "ho-hum-ness" of a home base. 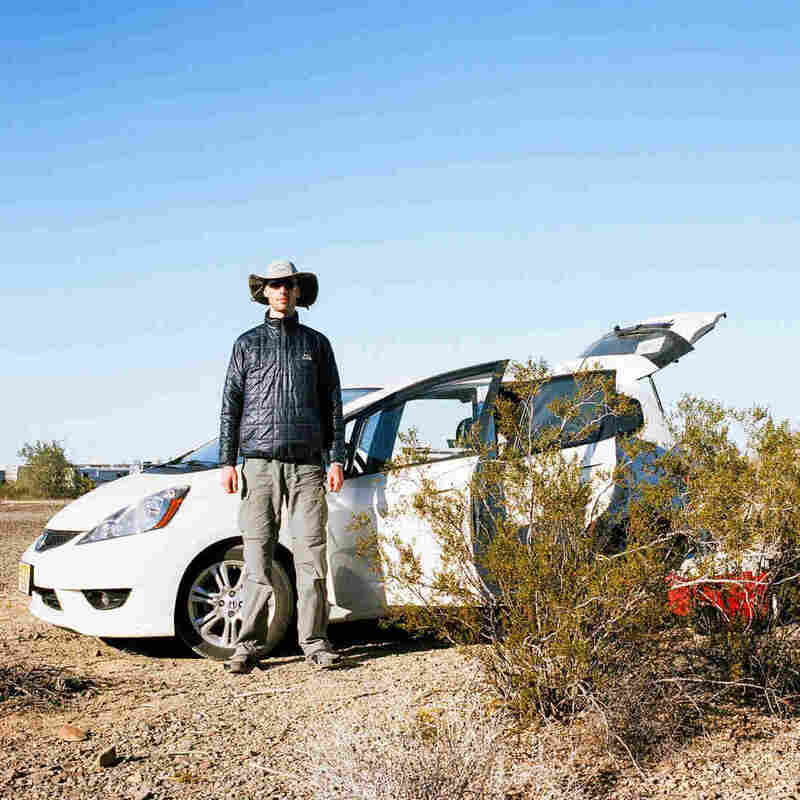 Like Scott, who was burned out from an "all consuming" job as a third-grade teacher in New Jersey — and stuffed his life into his 2010 Honda Fit and took off cross country. 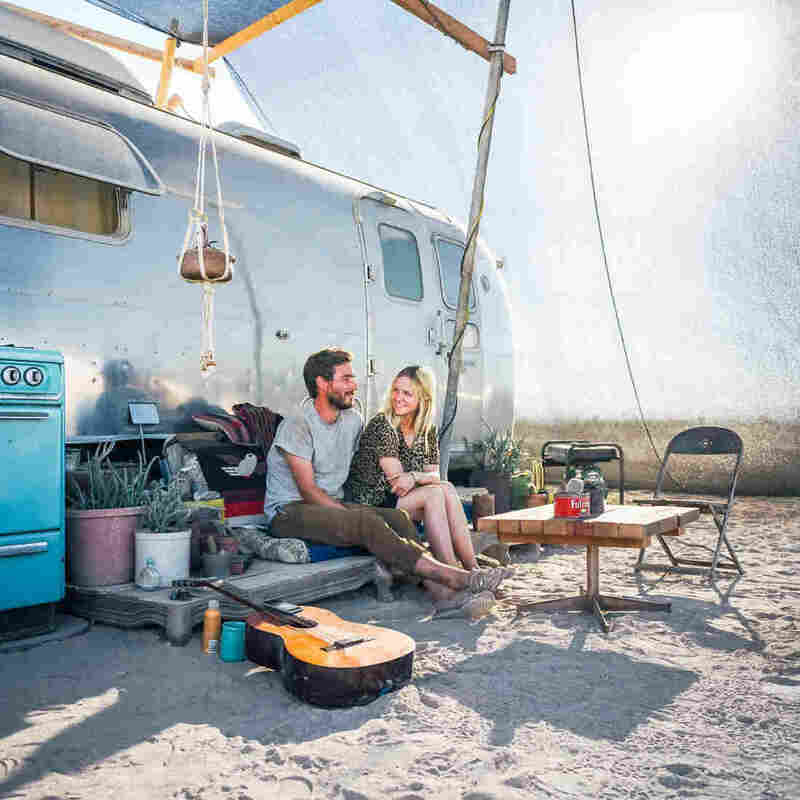 And Kristen and Adam, who own a home in Portland but instead reside in an Airstream in Slab City, Calif., while they help care for Salvation Mountain, the huge hillside art installation that inspired them to relocate there. "The real reason we're down here is for the art of Salvation Mountain." - Kirsten and Adam in Slab City, Calif. While the people Waits documented live very much off the grid, he was surprised by how connected they still were technologically. Turns out, every McDonalds has free Wi-Fi. Several folks write blogs about living on the road, and sites like Cheap RV Living are rich with resourceful forums on everything from where to go to the bathroom and how to install solar panels on cars, to relationships and loneliness. Jess Chamberlain is a freelance design and lifestyle writer whose 500-square-foot Seattle apartment is currently feeling excessive. Follow her on Twitter and Instagram.